I’ve been trying to do more reading in Icelandic this summer, both a short novel (slower going than expected) and short stories (faster going—to fudge a term—than expected) and have also been trolling the internet to see what I could discover about literary journals that publish short translations. In the midst of this, I ran across an interesting interview with the poet and translator Christopher Burawa. In a series of ‘small world’ sort of connections, Christopher studied in Arizona and has also translated several short stories by Kristín Eiríksdóttir into English (one of which, “Holes in People”, was published in Dalkey’s Best European Fiction 2011). 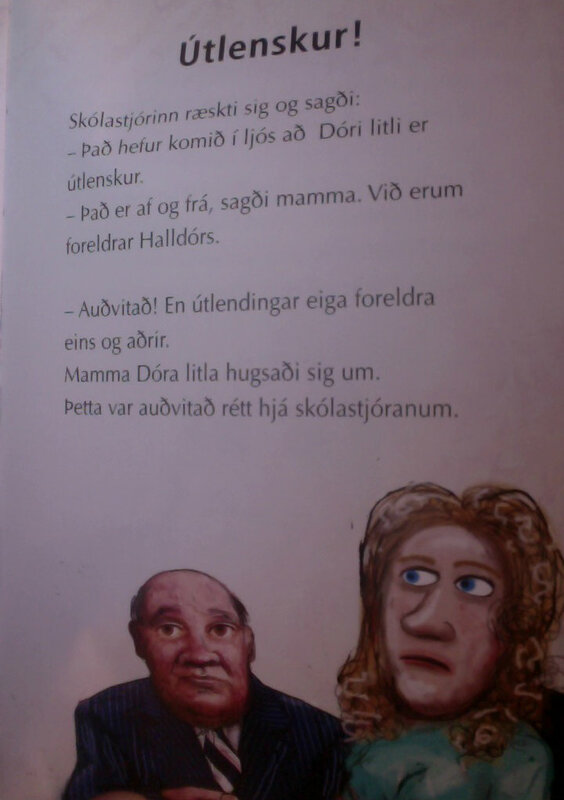 Moreover, he’s currently working on translating Kristín’s 2010 collection of short stories, Doris Deyr (‘Doris Dies,’ which in Icelandic sounds a lot like ‘Doris Day’, btw) into English. These latter factoids seem coincidental to me because last summer I set myself a project goal of translating a short story by Kristín from this very collection. I didn’t get very far with this project at the time, but just a few days ago, I pulled out the story again with the intention of fiddling around with it in earnest now. So I’m going through my email and catching up on news and things that happened while I was basically off the Internet, and I’ve been pleased to see that a book of photography by Icelandic photographer Valdimar Thorlacius has been getting a fair amount of attention since it was released at the start of the month. This pleasure is twofold. On one hand, it is a beautiful book of photography on a fascinating subject: the daily lives of hermits in Iceland. On the other, I’m also excited because I translated the accompanying text—excerpted interviews with the photographed individuals—and did so over the course of a weekend. I had editing help, of course, but truly, this is the most extensive (and fastest) translation project that I’ve yet undertaken, made all the more interesting/complicated by the fact that the interview subjects were often talking about the daily circumstances or details of their childhoods on rural farms in Iceland (not a milieu that I’m super well-versed in yet) and also generally had rather roundabout/old-timey colloquial ways of expressing themselves. They are hermits, after all. So I learned a lot doing this translation, not just linguistically, but culturally and historically, too. Það eru bara tvö tungumál: íslenska og útlenska. Og útlenska er enska. There are only two languages: Icelandic and ‘Foreign Language.’ And ‘Foreign Language’ is English. This from a professor of mine during a class discussion about our experiences as foreigners in Iceland, and whether we had ever gotten a particularly excited reaction from an Icelander when they found out we were from another country. I said that as an American, I don’t really qualify as an ‘exciting foreigner.’ Rather, because of Iceland’s long history with the US—beginning with the US base at Keflavík during WWII and extending into the ubiquitous presence of American popular culture pretty much everywhere—being an American in Iceland seems about as exciting as being a New Jersian (is that the right term?) in New York. Which is to say, not. Anyway, during this class discussion my professor went on to explain that since English is ubiquitous in Iceland, it starts to feel to many Icelanders as though it is the foreign language, spoken by everyone everywhere outside of Iceland. Like ‘a Band-Aid’ becoming a stand-in for ‘a bandage,’ I suppose. This discussion, I should add, arose after went to see a play as part of my contemporary literature class, a production called „Útlenski Drengurinn,” or ‘The Foreign Boy,’ which was based on Þórarin Leifsson’s Dóri Litli verður útlenskur (‘Little Dóri becomes a foreigner’). The basic premise of the story is that one day (under to a variety of strange circumstances that differ from book to play) a popular Icelandic boy, nicknamed Little Dóri (Dóri short for Halldór, and he’s actually quite big), suddenly becomes foreign. That is to say, everyone around him suddenly believes that he’s foreign, that he can’t speak Icelandic and that he now needs to apply for permission to live in Iceland. Little Dóri’s mother thought to herself. The principal was right, of course. So earlier this summer, I decided that I would set myself a project goal: finish a draft of a translation of a ten page short story. I thought this would be a modest goal, and yet fully expected that it would undergo some revisions (read: delays) over the course of the following months. And, guess what, guys: it totally did. Namely, here I find myself approaching the end of summer and I haven’t completed more than two or three pages of said translation. The point is, I’ve been in this country and in/around this language and although my conversational skills are still pretty shabby at best, I am trying and improving and getting less self-conscious about those moments in which I flub up and say/write something stupid (oh, like the time I gave an email the subject “Eftirfylgja um starf,” which my dictionary lead me to believe meant “Follow-up about job,” but which my co-worker informed me was kind of actually like saying “Afterbirth about job.”) Basically, it’s an uphill battle and embarrassment is par for the course, so developing a thicker skin is not nothing. While my short story project has basically stalled, however, there is some good news on this front. I have actually done some translations work this summer—translations of the literary variety, even. Hállo, Internet! Easter is on the way and spring is in the air this week…Or at least, it’s very bright outside, and stays that way until around 9ish now, but the weather is fluctuating wildly: it snowed yesterday, in fact. Can’t you just tell that the first day of summer is next week? Summer is coming. For reals. These pretty purple flowers had been popping up around our yard…they are now covered in snow. Anyway: I had a pretty awesome weekend, Internet. Or pretty awesome pre-weekend-into-weekend. Because not only did I get invited to attend a good portion of the inaugural Iceland’s Writers Retreat (I’ll be writing an article about this for The Grapevine soonish), but I also got to go musselling. These things were both entirely and incredibly awesome in two entirely and incredibly different ways. So let’s get to it, eh? I guess if you want to become an Icelandic translator, first you should go live on a farm for awhile, and then you should write some poetry. Then start translating. Such was Arnaldur Indriðason’s advice, given during a panel at this weekend’s Iceland Noir Festival. The panel, called “The Perils of Translation – Does Icelandic Fiction Translate?” included Arnaldur (his only panel of the festival, actually) as well as authors Árni Þórarinsson and Óttar M. Norðfjörð, and translators Anna Yates (English) and Tina Flecken (German). It happened to come up that Tina, like a few other translators who Arnaldur has worked with, learned Icelandic when she was living on a farm with an elderly couple who didn’t speak English. As for the poetry part, Arnaldur was referring to the late, esteemed English translator Bernard Scuddur, who was a poet as well as a translator, which Arnaldur said added depth and layers to his translation work. I didn’t get to attend as many of the festival panels as I would have liked (homework and writing called), but nevertheless very much enjoyed the panels I was able to attend, met some lovely people—both some new and familiar faces—and was definitely happy to be able to attend the translation panel. It’s perhaps a bit after the fact, but if you want to read a festival preview that I wrote for The Grapevine, you can do so here. I also collected a number of Q&As with a number of authors who were in attendance, and got a lot of interesting answers back. So if you are interested in crime fiction, you might find those of interest, too. I’ve got a lot of catch up to do—we’ve had visitors, have taken another short trip, and I’ve had midterms, and grammar breakthroughs, and all sorts of exciting things. But for now, I’m going to go just slightly off topic to share a poem which, while not Icelandic, certainly made me think about Iceland when I read it. If you’d like to listen to the poem being read (recommended) you can find a reading of it via the BBC website, here. Aðalsteinn Ásberg Sigurðsson, Gerður Kristný and Markéta Hejkalová – photo by Markús Már Efraím Sigurðsson via the Reykjavík UNESCO City of Literature website. As you may have noticed, there are a lot of festivals and conferences and such here in Iceland. One of the ones that I was particularly excited about is the biennial Reykjavík International Literary Festival, which this year coincides with the PEN International Congress. The festival kicked off last weekend, but due to a confluence of circumstances, I haven’t actually been able to go to many events or readings. Mark, however, did volunteer a bit, and was asked to recap some of the events for the Reykjavík UNESCO City of Literature website. Rather than alternate between Icelandic and English, as others readers did, Gerður Kristný, the Icelandic poet, novelist and children’s author, introduced herself in Icelandic and launched straight into a selection of her Icelandic poetry, before switching abruptly to English and introducing a selection of her work recently printed in Modern Poetry in Translation, in an issue dedicated to the 2012 Parnassus poetry festival. Holding up the journal, Gerður noted dryly: “I even got to be the back cover girl, isn’t that an honor?” She nodded, forcefully. LFLR is Up and Running! Very exciting news to share: Little Free Library Reykjavík was installed in Hljómskálagarður (the park along Tjörnin), next to the statue of Bertel Thorvaldsen on June 14, 2013! It’s a lovely spot for the library—there’s even a bench right next to it so that you can sit and browse through books and read while enjoying the summer weather in the park. If you are not in Reykjavík to enjoy the library in person, but would still like to see our collection, you can check out our online catalog on Goodreads, here. The catalog shows which books are currently circulating, as well as which are “backlisted,” or currently in storage. Hopefully, the catalog and Goodreads group will be a useful place for readers to share their thoughts on books in the collection and their recommendations with other readers. The Icelandic parliament passed a law at the end of last year combining two key institutions—The Icelandic Literature Fund and Fabulous Iceland—to make the Icelandic Literature Center. 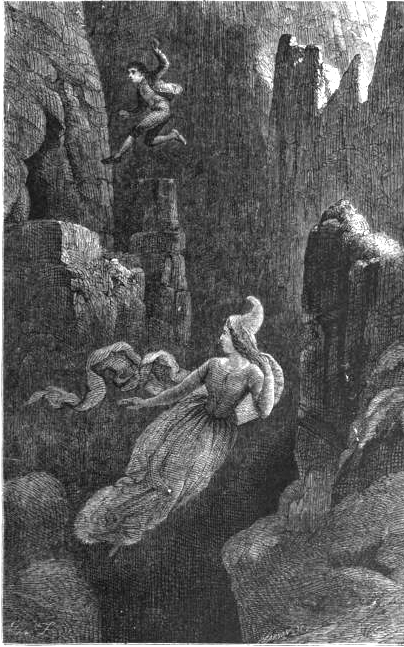 Although the new centre’s primary goals, namely, “to support the publication of Icelandic works of literature in other languages,” and “raise awareness of Icelandic literature, both within Iceland and abroad,” have not changed, the official merging of these goals reflects a newly focused, state-supported effort to bring Icelandic literature forward on the world stage. Iceland’s reputation as a nation of readers and writers has been vaunted for some time, but the purposeful promotion of Icelandic literature—both through publishing ventures abroad and literary initiatives around Reykjavík—has gained momentum over the last few years. 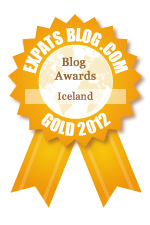 The year 2011 in particular was a high-water mark for significant Icelandic literary ventures. That year, Iceland became the first Nordic country to be Guest of Honour at the Frankfurt Book Fair, boasting the motto: “Fabulous Iceland.” At the same time, Reykjavík was designated as a UNESCO City of Literature—one of only five cities in the world to be so honoured, and the only one in which English is not the native tongue.